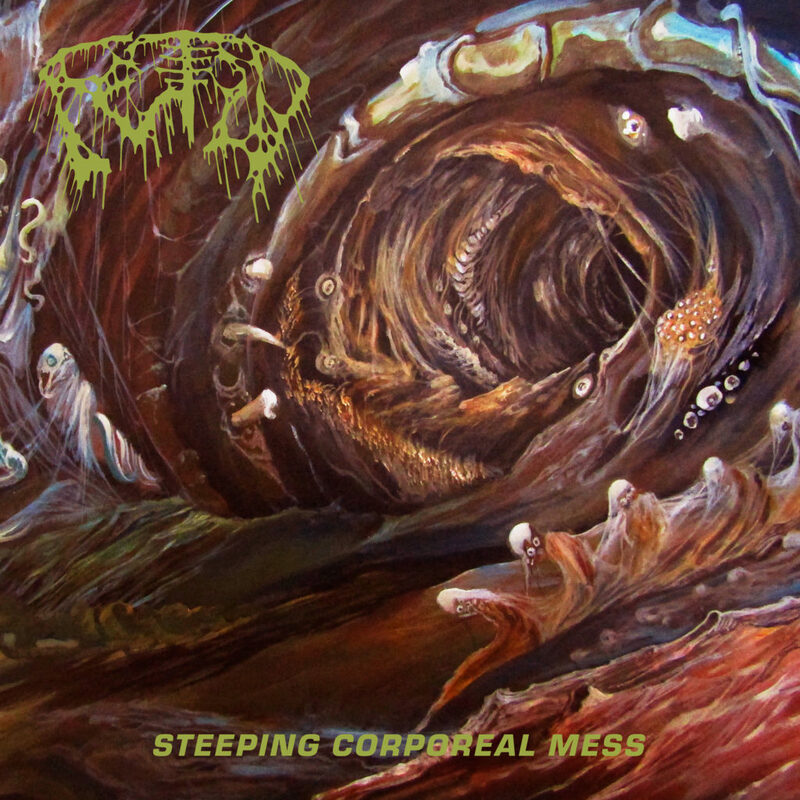 20 Buck Spin will deliver the horrifying Steeping Corporeal Mess debut LP from cult death metal outfit FETID on June 7th. Alongside the album’s cover artwork and track listing, the label this week unveils the lead track, “Reeking Within,” as a precursor of the record’s gruesome might. While home to fertile forests, soaring peaks, and copious precipitation, the Pacific Northwest lately has also become a breeding ground for something more nefarious, more grotesque, more… FETID. 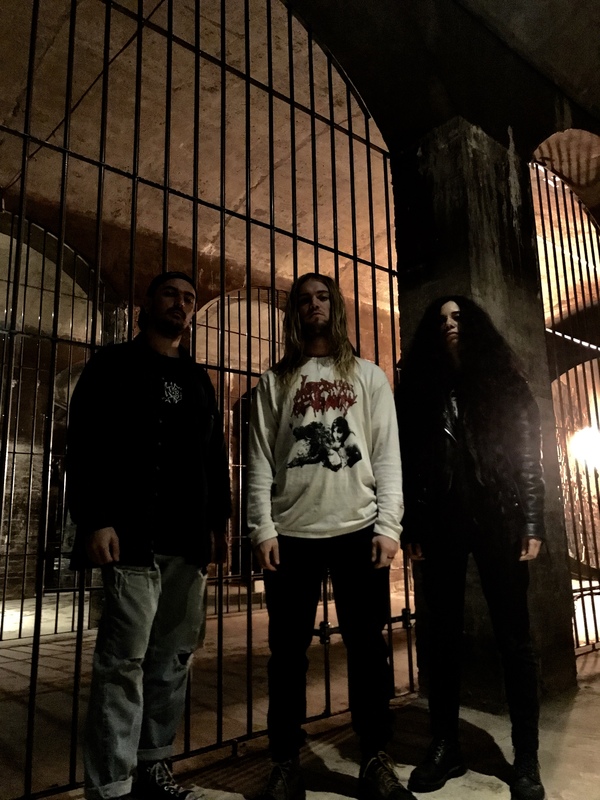 Since 2016, FETID has steadily swelled like a venereal boil upon death metal’s infected anatomy. The band’s Sentient Pile Of Amorphous Rot demo introduced the mustiest corners of the globe to the band’s abhorrent peculiarities. Now, having sliced into the furthest reaches of some unfortunate’s intestinal mucosa they’ve ripped out a Steeping Corporeal Mess of festering death metal barbarity. Recorded, mixed, and mastered by Greg Wilkinson (Necrot, Vastum, Ulthar) and wrapped in grim artwork by Daniel Hermosilla, Steeping Corporeal Mess promises to be one of the most decimating LP’s of the death metal genre this year. Fans of Undergang, Autopsy, Cerebral Rot, Rottrevore, Morpheus Descends, and Infester, dig in. Stream the LP’s lead track and single “Reeking Within” at Bandcamp HERE and YouTube HERE. Steeping Corporeal Mess will see release via 20 Buck Spin on LP, CD, and digital platforms June 7th. Watch for preorders and additional audio premieres to be issued in the weeks ahead. Having already toured in the US and Australia, and performed at Kill Town Death Fest in Denmark, FETID will take their gruesome tunes out on the road supporting the new LP including a full US Tour being booked for this fall.